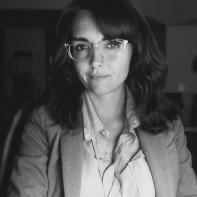 Kalani Pickhart is an MFA fiction candidate at Arizona State University. She was a finalist for the Yemassee Journal's 2017 Fiction Writing Prizes, and her short fiction has also appeared in The Harpoon Review and the Spillers No. 6 chapbook and podcast. Adam bought a waterbed for the new apartment. Come over right after work, he said on the phone. I will need some help putting it together. Then his voice lowered. And maybe we can try it out? I felt flushed, but not from the kitchen. I heard Chef yell for me. I have to go, I said. I lowered my voice like his. See you soon. Okay, he said. I hung the phone on the receiver. Order up, Chef said. His dark eyes, the same rich color of his skin, smiled at me knowingly. I took the plate of chicharrón de pollo in my hands with its ticket. I smiled back. After I cleaned the last three tables, Renata was waiting for me in the kitchen. Smoke? she asked, winking. We went outside into the alley and Chef was there, his sleeves rolled up, his hat off, sitting on the stoop. The three of us smoked in silence. I thought about how, Renata, who co-owned the Dominican restaurant with Chef, was closer to Adam’s age than mine. She and Emmanuel, or Chef as I called him, had been together for fifteen years, but they weren’t married. Renata was twice divorced. Emmanuel’s wife had passed. She was sick when Emmanuel met Renata and she would go with him to the hospital. Emmanuel would say his wife had big eyes about love, so when his wife died, Renata went with Emmanuel to the funeral, and no one was upset about it, or at least they never said a word. I hadn’t called my mother to tell her I was moving in with Adam, because technically I wasn’t. It was my apartment, for now. Adam would move in with me after I finished graduate school. I worry about you, Christine, my German mother had said on the phone in English. You’re too young. He has a wife and children. You are a student. He is your professor. It is not appropriate. He’s not my professor. I told my Mutter. You don’t know him. She didn’t. She was three hours away in Albany. My Papa was the type of man to forget he had a daughter, until a boy would show up at the house with me. Then he’d straighten his back, his shoulders rolling backward, and say to me, pleading, Mein Mäuschen. He reminded me of a child who forgot about a toy until another child started playing with it. Mine, the child would say. Mein, my father said. Renata snubbed out her cigarette and wrapped her arm around my shoulders. She smelled like the kitchen and her forehead shone like Chef’s. Need a ride home? Renata asked. I want to see your new apartment. I got in Renata’s car and she left the radio off. She lit another cigarette and brushed the loose strands from her forehead. She was fifty-nine, only a few years older than my mother and father, and like my mother and father, she survived the war. Renata was born in Poland. She lost both of her parents to the concentration camp when the Germans invaded. She managed to flee with her aunt and uncle and cousin as a refugee to Iran, then eventually, Mexico. On her way to America, she met an American soldier on a ship, and when the war ended, she moved with him to Newark. When he hit her, she married an Italian, and then when he hit her, she left Jersey, too. She moved to Boston in 1959, and there she met a Dominican man, Emmanuel Vasquez Ramirez, who, she said, was the only tender man she ever knew. She said she could see it in his hands – the way he held pork. He wasn’t like a butcher, even as his knife carved. His hands were soft in their sensibility, she said. Emmanuel held the meat like he was a boy touching a girl’s thigh for the first time. Shy, and not wanting to intrude. I’ve known many butchers, Renata would say, grinning. As she drove, Renata looked tired, but she was somehow always glowing. The light filled up inside of her in a way that did not fill inside my own mother. My parents, when they fled to America during the War, were sent to an internment camp in Texas. I have family in Germany, but if my parents have written to any of them since, I do not know. My mother always says she knows things – she knows everything, she says, because she is my Mutter. Ich kenne Sie, she says. I know you. Renata knew Adam because he came to the restaurant. He would come by almost every day for lunch. I thought he was handsome. It was in the way that he always cleaned his plate, didn’t waste, brought the plate to the counter and thanked Renata. Adam would buy meals for those who were down on luck. He brought in his graduate students and treated them. I would overhear him, in his soft voice, the inflection measured and calm, looking at the student directly, as if they were the only person in the noisy dining room. How he listened, God, he listened. His eyes lifted to their faces, leaning back, cocking his head. If he disagreed with them, his temperament was gentle -- if he agreed, his temperament was electric. As I bussed and served, I liked the stillness of the professor in the room, myself moving around him that one hour a day when he was there. I moved around him in a little orbit. He, a little sun. The day I dropped his glass, he was sitting alone. It shattered near his shoe, and when he rose to help me, I instinctively grabbed his wrist to keep him from moving. I realized how cold my hands were and how hot his wrist was and that he wasn’t wearing a wedding band. Be careful, professor, I said. I’ll bring the broom. Stay here. I swept around him, the glass, tea, and ice all a swirl of brown on the tile. The bottom of the glass was still jaggedly intact, and he bent down to pick it up off the floor. When are you off? He asked. I unlocked the door to my apartment and Adam was inside, pieces of the bed all over the hardwood floor. The place was otherwise empty because I hadn’t moved any of my things yet. Renata walked in after me, looking around, saying, It’s beautiful! So big! To Adam, she said, Room for more children, and when she squeezed his arm to tease, Adam looked shy, like a little boy. She left us, and I closed the door behind her. Adam had the tools all over the floor and the manual for the bed was sprawled open. So, he said, looking at me. It felt warm with him there. It felt as if I was seeing him for the first time. Let’s start? he asked. I nodded, happy. The first time I went out with Adam, we went on a walk at the Public Garden to feed the ducks. I told Renata he asked me out, and she convinced Chef to let me off early. My Mutter says he is too old for me, I told Renata as I took my scarf. All men are boys, Renata said. Even your Papa. This your Mutter knows. I laughed. Ja, my Mutter knows everything, I said. She says she knows me. She knows Papa. She knows everyone! Ich kenne Sie, she says. She says that to everyone. She would say that to Adam, and you, and Emmanuel. She doesn’t know anyone. Renata wiped the tables, cleaning away the grease from the lunch rush. The rag left streaks of water on the linoleum. Mothers know, Renata said. There’s pain only a mother knows. She is a hard woman because the world has been hard to her. Renata looked up at me then and smoothed my scarf. Gut sein, she said, surprising me. Adam had two children -- the eldest nearly half my age. Adam was a professor at the university and I was a student at the same, though I never knew him besides the restaurant. I learned about his children after the glass broke, at the Garden. I had brought bread. I liked the way that he looked when he smiled at the ducks, when he smiled at me. His hands held the bread as if it were a bird. His hair was starting to grey, and I felt like a child next to him. I knew that he knew more than me. I feared he knew me already. I was afraid he would tell me so – that he would tell me all the things he knew. I hated him for asking me to the park, for being gentle with the bread, for having children and a wife and for having greying hair. I hated that he had students my age, and I hated that he was being shy with me, when I knew he wasn’t shy with others. I loved him, yet, for all the same. I watched Adam rip the bread in half, in one even tear, and he said: Tell me something no one else knows about you. He likes you, Renata said as she and Emmanuel cleaned the ovens. He has a wife and children, I said. Maybe, Renata said, shrugging. I know this: he comes in hungry, and he leaves full. Renata had never had children, though she tried. One day, Emmanuel had brought lilies to the restaurant and Renata took the bouquet apart carefully, cut the stems, and put them in tiny glasses on the tables. I locked up the front door, I heard yelling and the sound of porcelain crashing in the back. I found Renata washing dishes, and a plate in pieces on the floor. Emmanuel was gone, which was unusual, and I realized Renata was crying. I came behind her and touched her arm, and she shook me away. Go, she said, then when I stepped closer, she screamed at me to go again. Instead, I took the broom and swept around her feet, and Renata turned to watch me. She was bright red, and her white hair looked yellow in the kitchen light. Then she knelt beside me, took the broom out of my hands and held onto me, and cried in my arms. Lily, Emmanuel said to me, was the name of a daughter Renata had with the American soldier, who she lost in birth. Renata always bought flowers that day -- on the anniversary the daughter was lost. Emmanuel said each year, Renata became the same woman she was on that day, as if no time had passed. He allowed her this, and more important, she allowed it for herself. Months passed and Adam told me that he and his wife were separating, that he was starting to look for a place. He hoped I would help choose. Do you love her? I asked Adam later that night. It was the first time we slept together. I was tangled in him, my arms and legs like a sea anemone, our pulses still racing. Yes, he said, his face nuzzled in my hair. But it’s not that simple. I wrapped my arms around him and buried my face in his neck. I bit his earlobe and whispered in his ear, Ich kenne. I know. I remember when I was young, and my Papa had too much to drink, and he bruised my arm, pulling me down the hallway. I heard my Mutter screaming after him, and he threw me in my room. The next day, my Papa came to me crying when my Mutter showed him my bruises. Mein Mäuschen, he cried. My little mouse, my Papa sobbed. My Mutter made ice, and my Papa held up my arm. He kissed my bruises as he held the ice to my skin, numbing it. It took us hours to get the headboard and the frame together for the waterbed. Adam threw the end of a hose up to me at the window, and I caught it with the end of a broom and filled the mattress with water. It was nearing 3am when the bed was filled and we crawled on top of it, the water rolling. I slid my body nearer to his, and when I found him, he was hard. When we made love then, excited by the water, flowing in and out of one another like a current, like a charge. Renata said that in the camps where her parents were, the fences were charged, and the men and women would run to them, crazed, ready to die. She said she only once smelled burned flesh – her own – when the American put her hand on the stove. My Mutter, when she came to America, was taken to an internment camp with Papa in the middle of the Texas desert, where a hole was dug in the ground as a swimming pool. She would go to the water, late at night, and she would float, belly up and looking at the stars. When Adam had fallen asleep, I looked at the ceiling of the apartment, dark and smooth and black. I thought of his children. I thought of the full life he had, what seemed like a lifetime before I entered it, all without me being a part. What could I give a man with a full life? I thought of the broken glass, the soft bread. The water was moving, a constant rolling beneath us. As Adam reached for my waist in sleep, the mattress rocked us both. I kissed his quiet, dreaming face and I wondered if he knew all that I knew, and I wondered if he was ever afraid.